Having just read The New Journalism by Tom Wolfe, I’m compelled to say something about it, but not inspired. Nonetheless, you’ve gotta love an anthology and that’s what this is; a slice out of time with Tom Wolfe as an excellent curator. He’s a straight shooter and firsthand participant, which makes him a somewhat convincing historian, however that’s the thing about his story, any history; it’s as true as our collective memory. 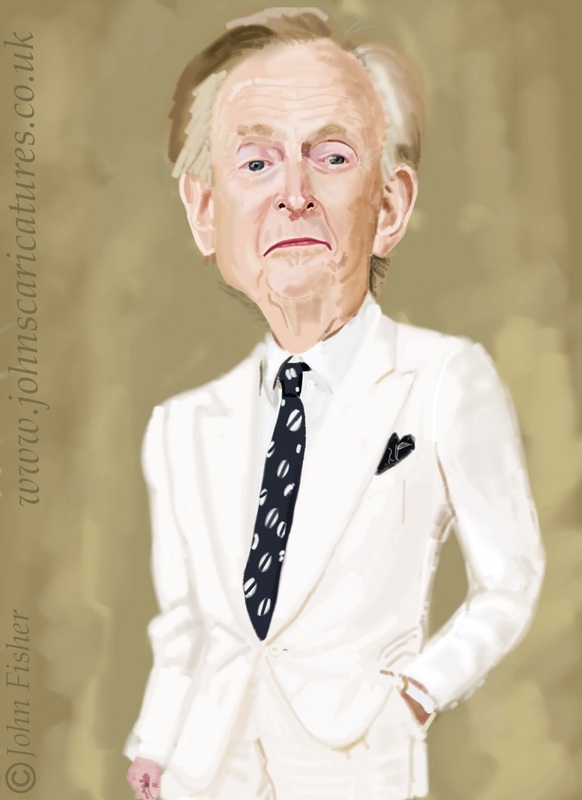 Not knowing much about Tom Wolfe, nor having read anything he’d written, I was an open book (no pun intended). This made his introduction believable where he summed up the new journalism (his term) in sections one and two, “The Feature Game” and “Like a Novel”, while in section three, “Seizing the Power,” explained the impact of this new genre on the establishment. Wolfe describes himself as an upstart set out to stick it to the status quo. He name drops a few colleagues—guys he felt were faces of the new journalism along with him, such as Jimmy Breslin, Rex Reed, and Hunter S. Thompson. Admittedly they deserve credit for their early journalistic innovations and the unsettling of long established journalists and non-fiction novelists alike. However, here’s where Wolfe’s story lost some credibility for me. As I recall, these characters were, in real life, just as unfavorable as their predecessors, stumbling over themselves toward the sensational and inevitably impaling themselves on their own egos. However, I’ll reserve Wolfe’s full critique until after I have read his writing; after all, The New Journalism is an anthology (albeit a premature one) that was ironically, in his opinion, worthy of including his own work. So, let me start instead by addressing Wolfe’s aforementioned colleagues. Jimmy Breslin the big mouth, Rex Reed a condescending snob, and Hunter S. Thompson a gonzo (Thompson’s own word), mumbled from his own mouth (thankfully he wrote because he honestly needed subtitles). Where each of them might have been forerunners of something new and innovative, they were also instigators of some of the swill we see now. Emboldened by the new journalism and devoid of the investigation that was its foundation, you have today’s copy cats (the Glen Becks and Bill O’Reillys) blathering, “You can’t explain that!”1 Yet in comparison, you can. It’s why Jimmy Breslin’s big mouth style, while formerly entertaining, now reveals the entitlement of a bygone era. It’s why he can imagine himself above reproach when speaking derogatively of his Asian colleague.2 It’s also why Rex Reed with mistaken impunity feels he can with mean-spiritedness, deride women like Melissa McCarthy.3 Political correctness came about not just after the new journalist’s heyday, but because of it. America has evolved along with its demographic make-up, and now the threat of an open and diverse playing field replacing a profession once filled with mostly white males, has arrived. Journalism’s evolution. Déjà Vu, Tom Wolfe?